The children are fairly good at brushing their teeth but they struggle to keep going for a full two minutes. They don’t like me brushing their teeth for them now they are eight and six, so anything which helps encourage them to keep going once their arms get tired and their attention span falters is much appreciated. I was sent across a Playbrush Smart manual toothbrush back in November for my Christmas Gift Guide and recently I was sent another for the purpose of this post so now both Cameron and Carly have a brush which connects to the app on my smartphone so that they can play games whilst they brush. The app has a selection of fun games to choose from, a couple are included and you can choose to purchase additional games if you wish. You can make numerous profiles for each child, keeping their games and top scores separate from each other to avoid arguments. A games subscription, available from £12.99 a month, not only unlocks the additional games, it also provides stats or parents and a fun rewards programme for the kids. 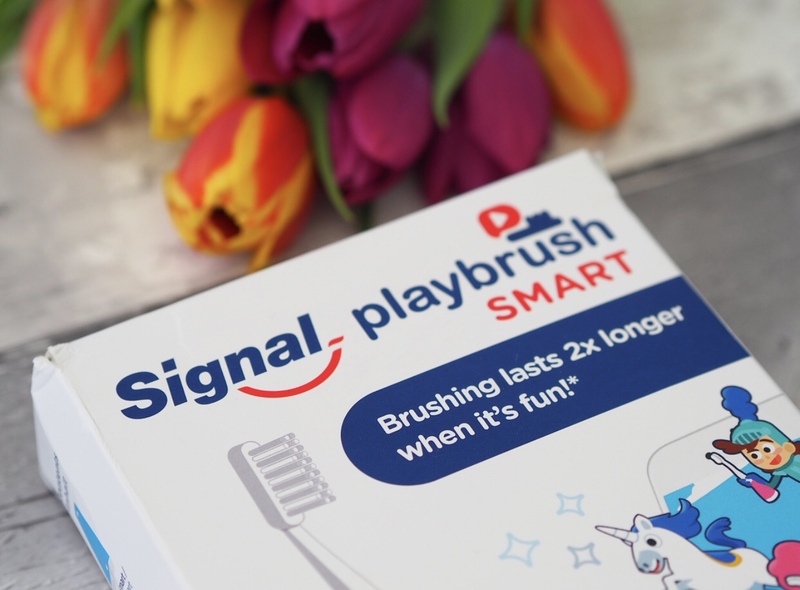 Ever since they started using the Playbrush Smart brushes, cleaning their teeth has gone from a chore at the beginning and end of each day to something to look forward to. As the brushes require charging to connect to the app and play games, it is important to remember to do this in advance to avoid a breakdown before the school run. Playbrush Smart brushes are available in both manual and a ‘sonic’ electric version. The Playbrush Smart base can be used with any manual toothbrush, meaning you could just buy the one and share amongst siblings. Both toothbrushes are suitable for children aged 3 and above and are available from the Playbrush website. We were sent a Playbrush Smart for the purpose of this post, however all words and images are my own.